MOTIVATED SELLER...REDUCED ANOTHER $15K! If you're looking for a place in the country; Privacy; Room for hunting, farming, raising livestock or just room for your dogs to run...this may just be the perfect property for you! 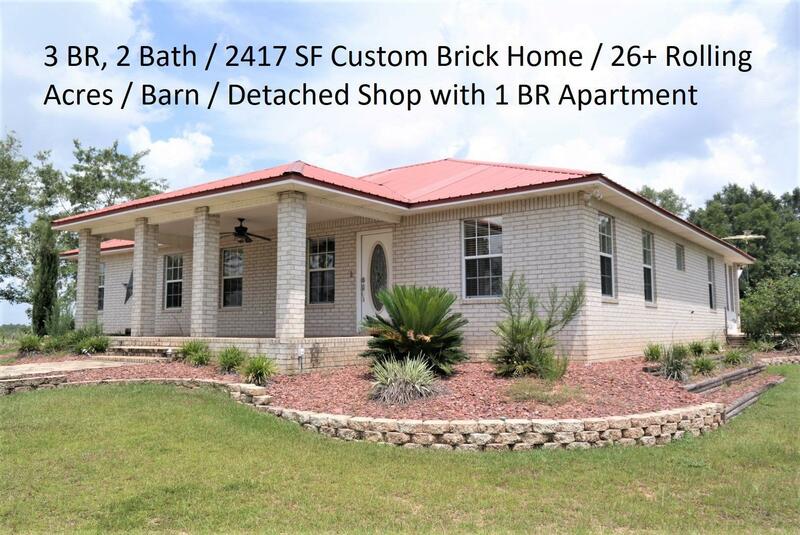 This 2006 custom brick home is nestled way back from the road in the middle of some of the most beautiful rolling hills you'll find in N Walton County with beautiful sunsets, sunrises & wildlife galore just waiting for you! With covered porches & patios in front & back of home, this property is a nature lover's dream! Interior features include tile floors throughout (carpet in BRs), custom lighting, open floor plan, spacious kitchen & large master. Exterior features include 1 BR guest cottage, gated entry & a large barn. You'll want to put this on your must see list!